Female RJ45 panel mount (bulk-head) jack passes through to female RJ45 jack for use with a standard Ethernet patch cord. O-rings provide IP67 rated water and dust protection. Attached cap for RJ45 panel mount (bulk-head) jack protects connector when not in use. 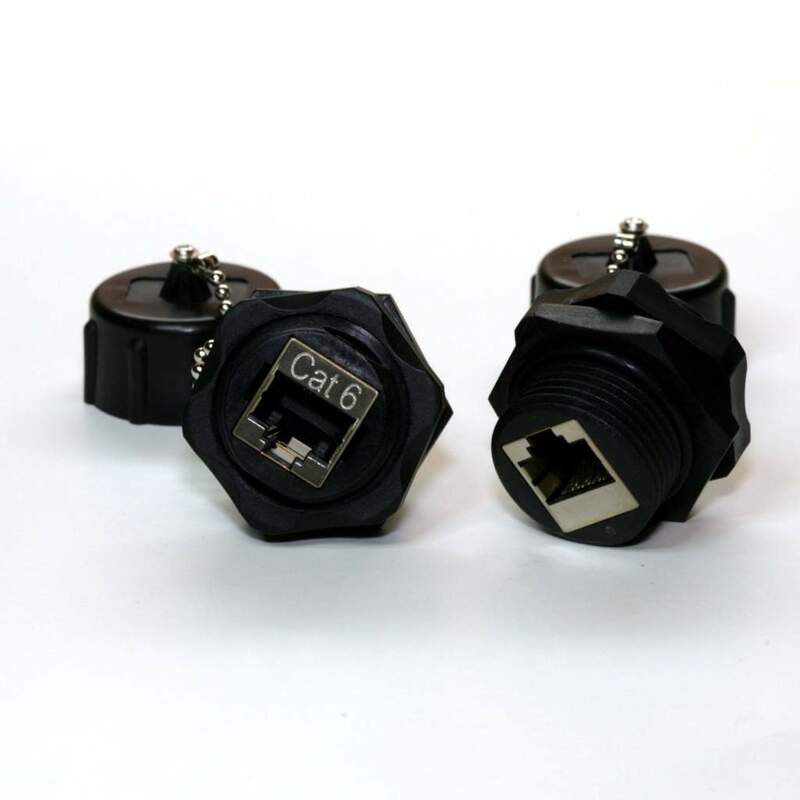 Package includes a single waterproof CAT6 RJ45 feed-thru coupler with an attached cap. Cut Out Dimensions for hole.